Updated Friday March 24, 2017 by The OALL administrator. As some of you may know, last year for the first time we attempted to use the TeamWall app to track practices, games and events. For the most part the use of the app was very successful. 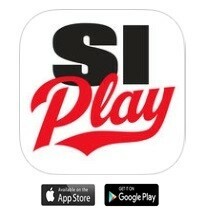 This year Sports Illustrated has updated their app and has released a new app which is called SI Play. The SI Play app has a cleaner look and provides more features including Team info, Roster info, Schedules, Messaging, Picture Sharing and Team Websites. Most Team information will not be updated until the middle of March, but you can download the app today and start exploring! When signing in, please be sure to use the SI Login you used to register your player.